Once in a while (not as often as you’d think) a seasonal collection will take me by surprise and completely override my thoughts until I spiral on the brink of insanity due to the intense desire I feel to don said collection’s garments. 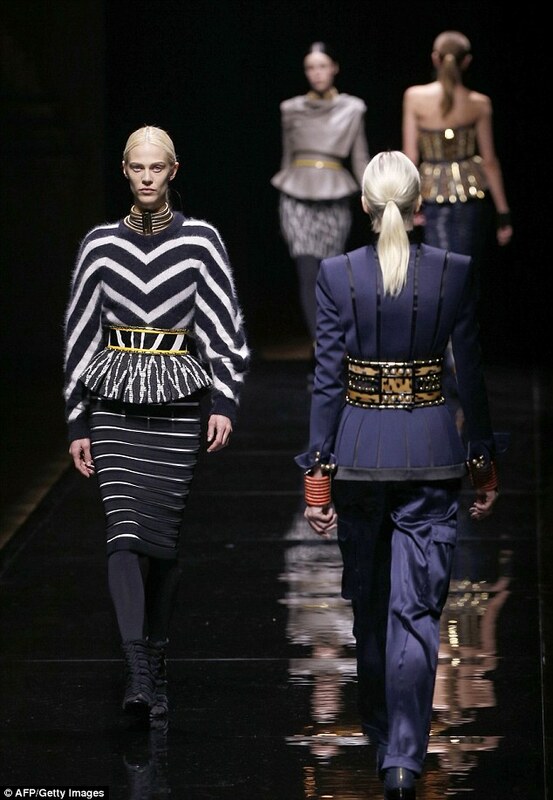 This season during Paris Fashion Week my eyes and heart was overtaken by Balmain’s A/W14 collection. As soon as the first image was uploaded on Instagram I knew it would be THE collection I would obsess about for months to come and why not? It’s pretty fu*king perfect! 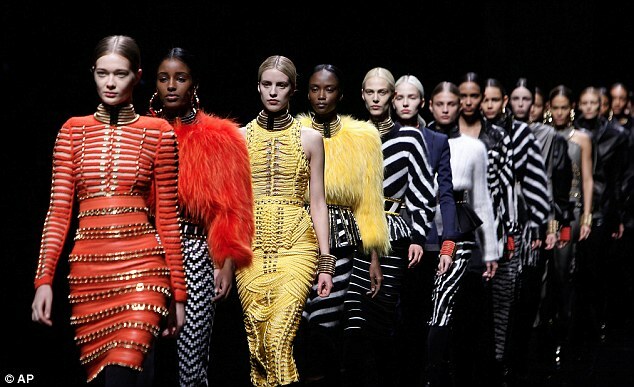 Now Balmain has always had talented creative directors – Oscar de la Renta being one of them – and I have in the past often flicked through their seasonal collections expressing my delight and adoration for the designs but I was not prepared for the sheer perfection of this years A/W collection. Woah. 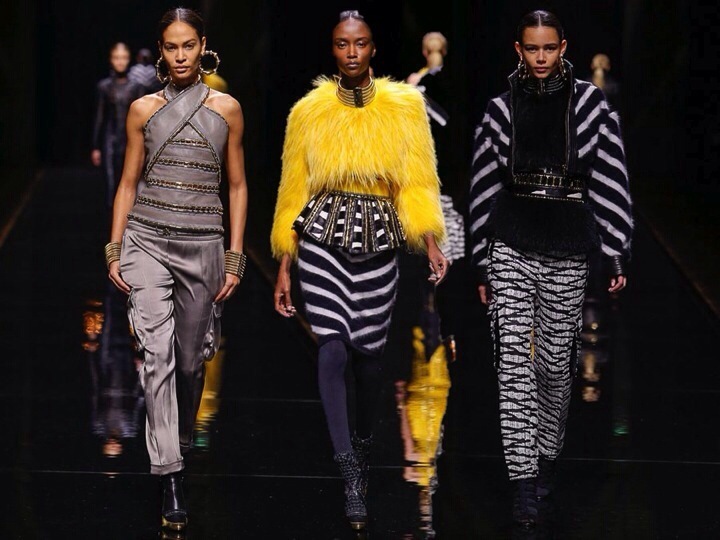 That’s all I can really (not really) say in response to the combination of looks present in the Balmain Paris Fashion Week’s catwalk show. The direction that Olivier has taken in reference to the influx of influences from the 80/90’s is simply breathtaking – the retro glamour of leather (lots and lots of it), studded embellishments, crocheted design, the feathers, the fur, the chunky gold accessories, the chokers, the animal patterns, the flattering cuts paired with the cinched waist detailing were almost a bit too much to take in all at once! 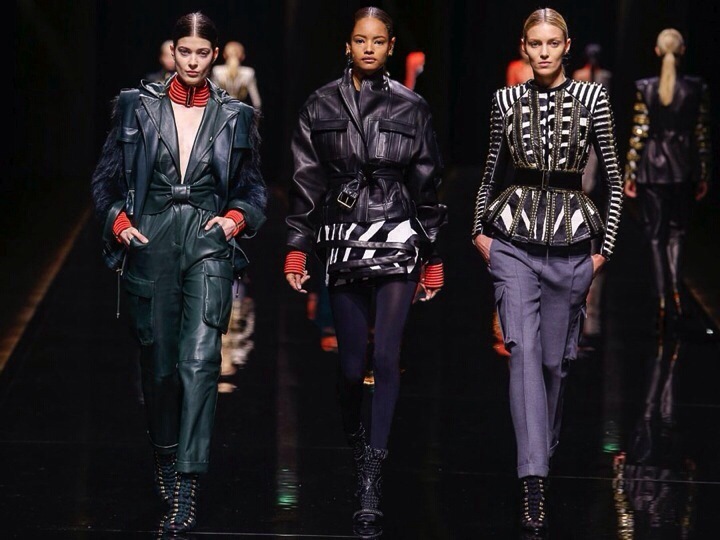 There is such a thing as overdoing it in fashion (thought many will deny this) and I feel that this collection had just the right balance reverberating through it from start to end. Do you see what I was talking about? It’s an incredible collection and every inch of my being is dying to possess it. The last time I coveted something this much was when Meadham kirchhoff showed off their S/S14 collection – And I’m still absolutely taken by it! Of course there still begs a question, who wore it better? 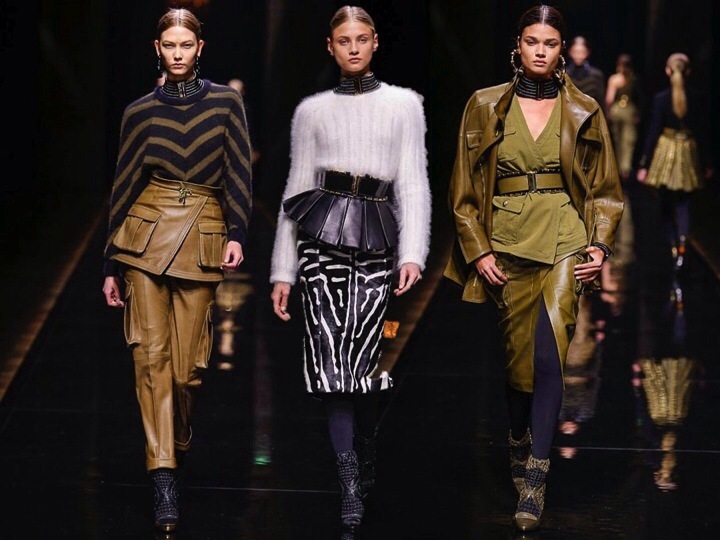 However one of my most prominent favourite looks had to be the all matte black leather jacket, the cinched high waist leather biker pants, woven crop top bedecked with golden detail and the chunky gold hoop earrings. 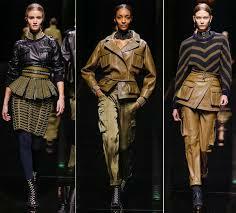 This in my opinion was just an effortless combination of raiment. It instantly transported me to the scene of late 80’s early 90’s old school attire and had my gaze transfixed.